Conveyor belts typically incur damage to their covers, fabrics and carcasses. Covers acquire rips, tears, cuts, gouges and scoring. Carcasses become worn and punctured. Belts fracture and fray at the edges. 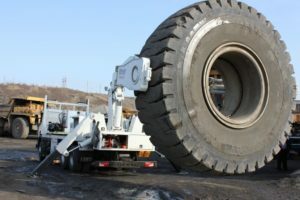 Conveyor belt repairs can take operations offline for a significant period of time. Using hot vulcanizing or cold vulcanizing methods to repair a conveyor belt can greatly reduce the amount of time your system is down. 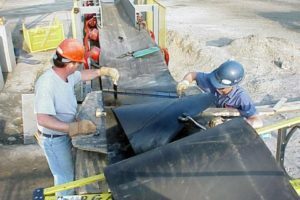 Additionally, repairs using either of these methods can extend the life of your conveyor belt system. Vulcanized splices typically deteriorate from the inside out due to poor adhesion and signs of wear may come too late for any preventive measure. 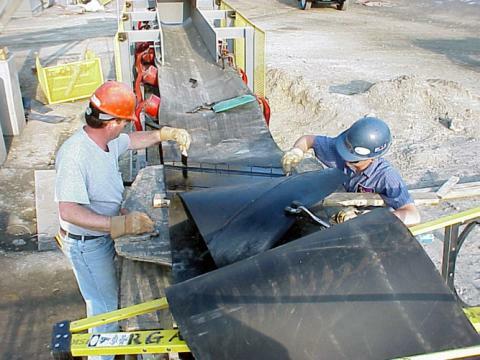 However a vulcanized belt joint will nearly always outlive a mechanical splice.h process requires unique tools and an intimate knowledge of the rubber bonding process. 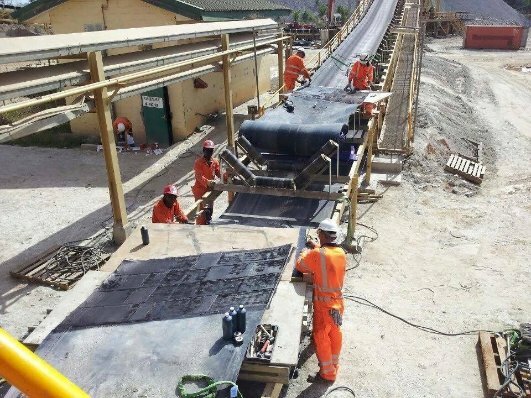 The cold vulcanizing method employs vulcanized material such as patches and strips to repair a conveyor belt. 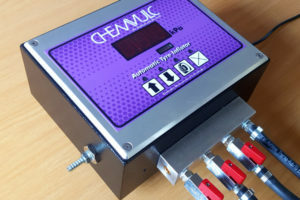 Cold vulcanization does not use a press, but uses a bonding agent like Chemvulc’s CV2002 or CV4000 that causes a chemical reaction to splice the two belt ends together. The vulcanized material is placed over the damaged area and secured with an adhesive. This makes the cold vulcanizing method ideal for repairing belt covers damaged by scoring, gouges and other types of wear. 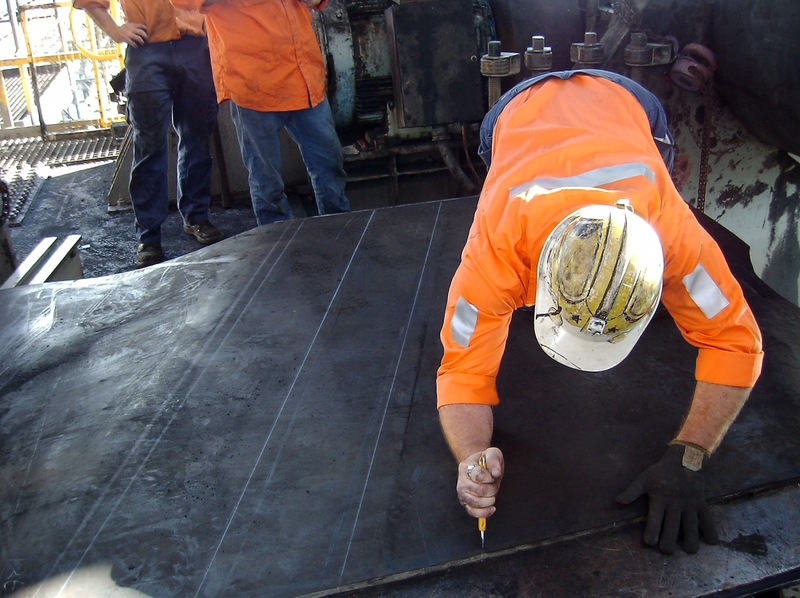 See Chemvulc’s range of Repair strips and Cold repair patches for conveyor belts. 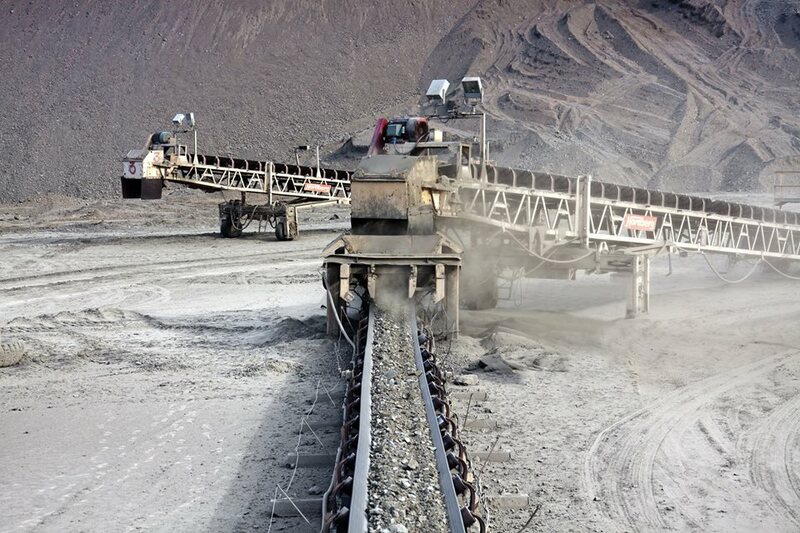 The hot vulcanizing method utilizes heat and pressure to mend sections of a conveyor belt. Hot vulcanization splices are heated and cured under pressure with a vulcanizing press. The damaged portion of belt is carefully trimmed or removed. A new section repaired and bonded in place using cement or other adhesives. The hot vulcanizing method is optimal for holes, cuts and tears in belt covers, steel cords and fabric. Vulcanized splices have the highest practical strength as a vulcanized joint will prevent any leakage and material sift-through as the joint is continuous. You can’t vulcanise anytime, anywhere – you need clean, dry and relatively warm conditions. Although on site this always isn’t possible, sometimes the area needs to covered from rain or excessive sun, while the splice is being prepared. Hot and Cold splicing of belts require meticulous preparation to prevent contamination of the splicing area. Cold splicing requires relatively warm conditions and low moisture to ensure the cold vulcanizing cements work optimally. Vulcanized splices typically deteriorate from the inside out due to poor adhesion and signs of wear may come too late for any preventive measure. However a vulcanised belt joint will nearly always outlive a mechanical splice.